Super! Een van de beste hostels waar ik tot nu toe geweest ben. Je maakt erg snel contact met mensen in de common area. Het hostel is erg schoon. Het ontbijt is zeer uitgebreid en de eigenaresse zorgt ervoor dat je je thuis voelt in het hostel. Ook de locatie was perfect. Je bent zo op het strand en niet midden in al het toerisme. Aanrader! This is probably one of the best hostels. The owners are really nice and willing to help you with anything. 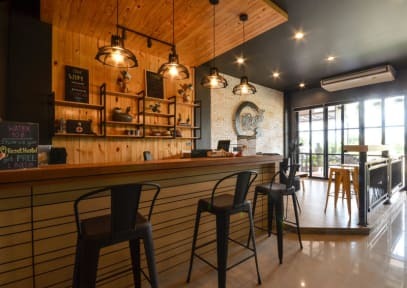 The place is very clean and cozy, I would definitely recommend it! Absolutely loved my stay here! Have felt home since I stepped into the hostel. Actually already through the arrival email from Oily. Super clean hostel and hospitality is beyond. Spacious dormrooms, with privacy possibilities. And delicious breakfast Other recommandation around are Samadee yoga with Tanny and Bamboo restaurant on the beach!! Oily and Ome are amazing!! They are one of the most friendly people I've ever met!! They make you feel really welcome, and even though there were a lot of guests staying, they knew everyone by name! From arranged dinners with the entire hostel, to booking tours, this place has everything you want!! Super close to the beach and the hostel itself is really clean, with amazing breakfast included! Absolutely loved it!! 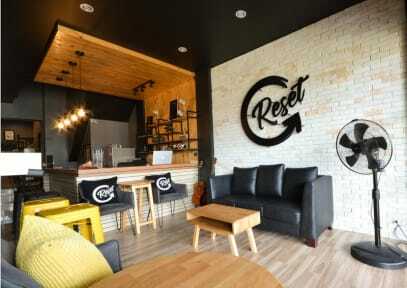 Reset hostel is an amazing place with wonderful staff, where you can really find your piece and quiet during your trip. Hostel is more like a hotel and the breakfast is amazing with every day fresh bakings from Oily (owner). The onky slight disadvantage for some people is the location, since it is quite far from Ao Nang, however there is excellent taxi service and the hostel is right across from a relaxing Beach with nice bars and restaurant. I can HIGHLY recommend going here! Great hostel! We had high expectations, which luckily were fulfilled during our stay. Oily and her husband are there to help you with everything. The breakfast is amazing, and it is located near a beautiful beach. The rooms are spacious and clean. Would definitely stay again here! Wonderful hostel! The rooms are very spacious and have a big window. Also very clean, you are not allowed to wear shoes inside. Oily always has a big smile on her face and helps you with everything. It's not a party hostel and the area is also quite quiet, so if you want to party, go to ao nang. The beach is very nice for sunset dinners! I would defenitly recommend this hostel, probably one of the best there is. I booked one night, and stayed 4. So lovely that the hostel is managed by a familiy, really helpfull staff and everything super clean. Great hostel! Very clean and nice hostel! The area near the beach is also very cool in the evening!